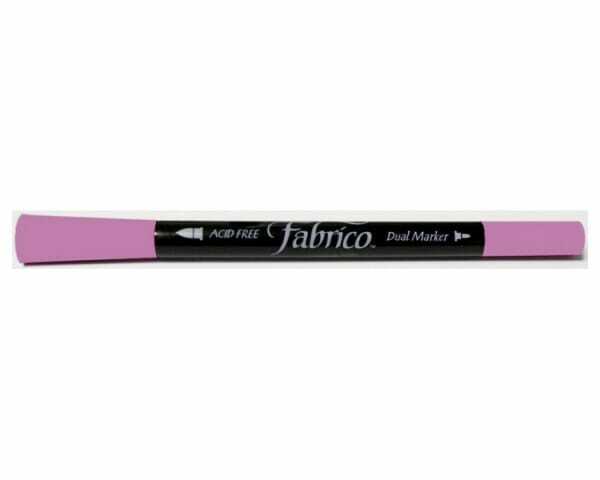 Fabrico Marker Lipstic Pink. Use VersaCraft (Fabrico) on a variety of surfaces such as fabric, paper, wood, leather, unglazed ceramic, paper mache and shrink plastic. Available in 36 colors (white not available), the markers feature both a brush and bullet tip, specifically designed for smooth ink flow. Perfect for adding details, lettering and coloring in. We recommend heat-setting for added permanence. Important! Store horizontally to keep both tips well-inked. Customer evaluation for "Tsukineko - Fabrico Marker Lipstick Pink"